I use to have Chocolate Soldier a few years ago and I lost it. So I purchased another one from two different places. Some how it doesn’t look the same to me. The Chocolate soldier I had didn’t have any pink on it. May be its the light it gets? Any way here are a few pictures. 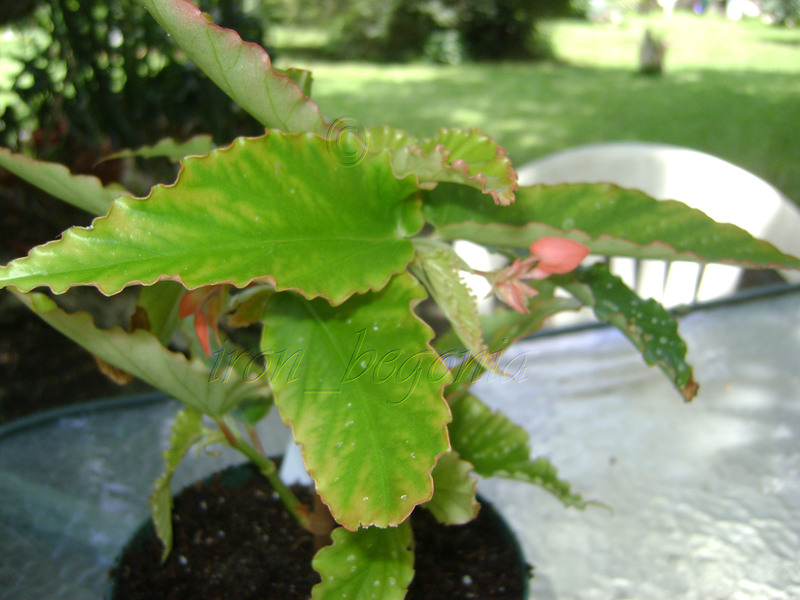 This begonia is a tall growing cane begonia and needs to be pinched back or it will grow tall and leggy. I believe I purchased this one at the SWBGT in San Antonio. 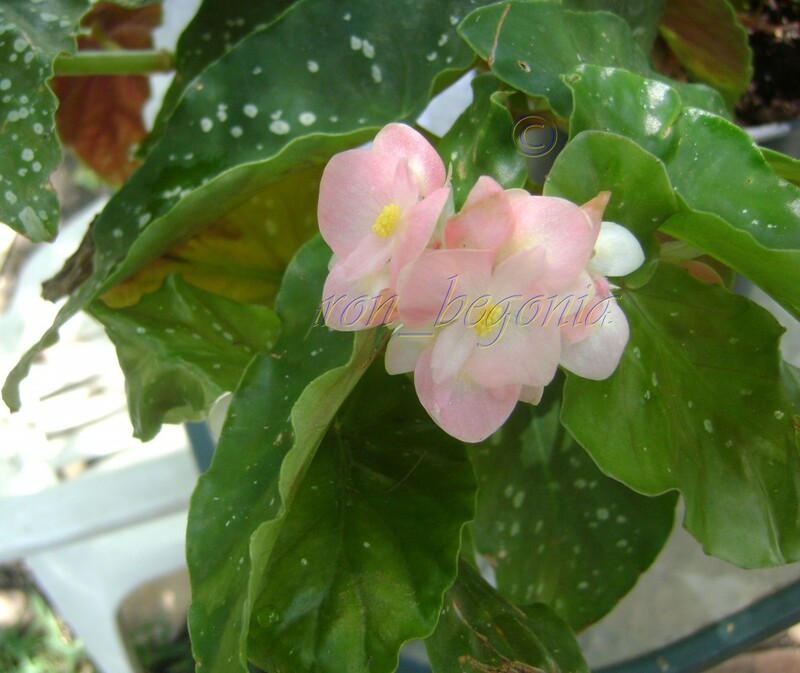 It Blooms pink flowers and has large bronze leaves splashed with silver spots. This Angel Wing Begonia blooms pink flowers and has medium green leaves with silver/white spots. It looks like it will be a compact grower. 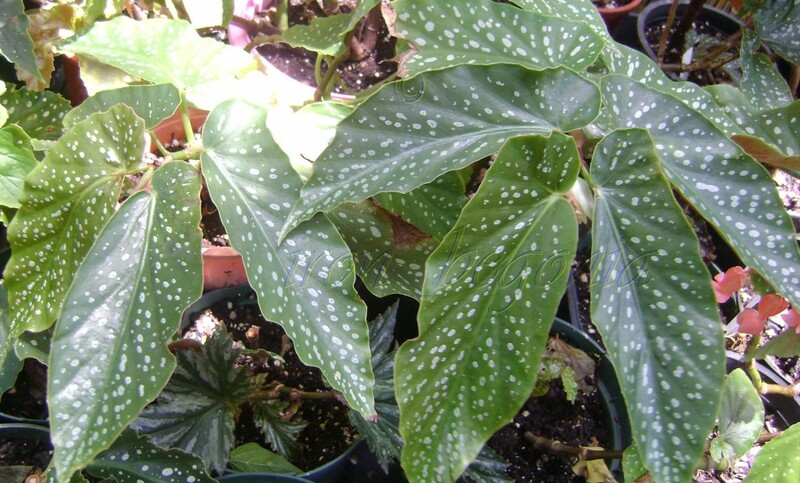 Angel Wing begonia Snow Capped has medium size leaves . 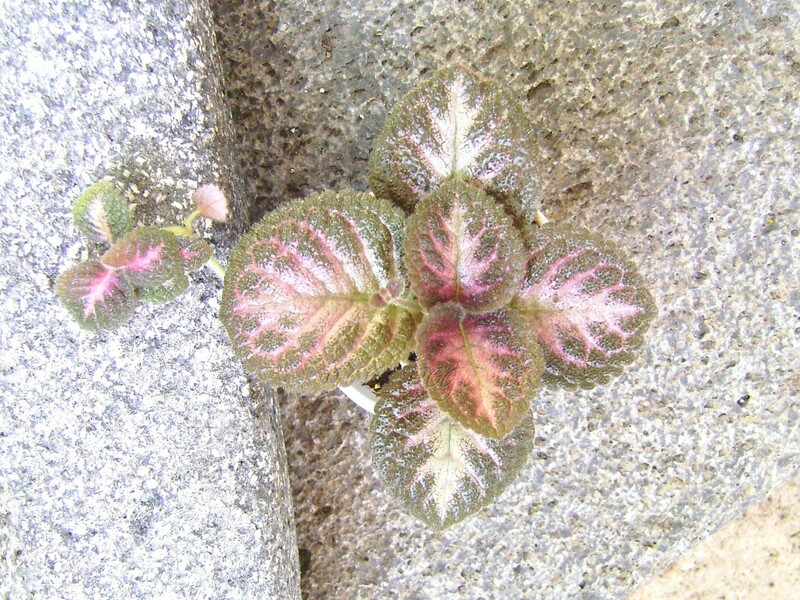 The leaves have small silvery white spots. The blooms are beautiful! It blooms an abundance of red clusters of flowers. This begonia is a low growing Angel wing. 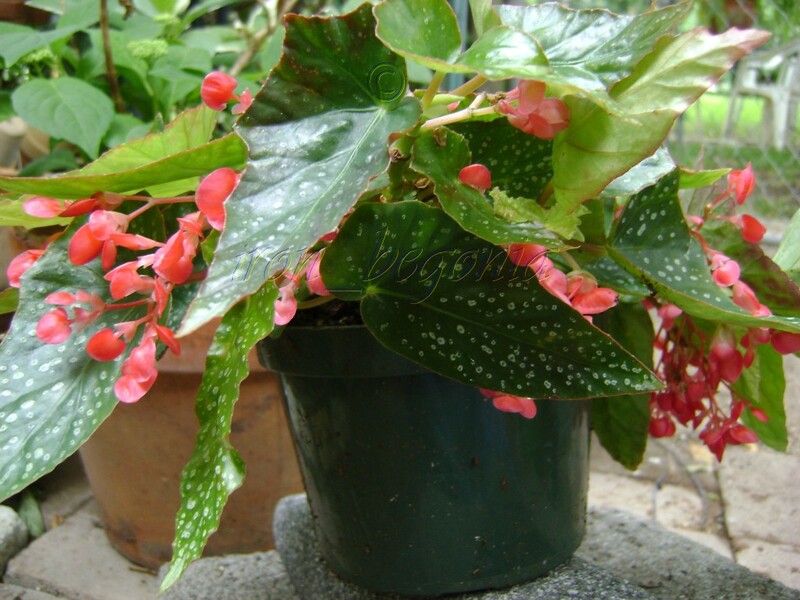 Brazilian Lady is a shrub type begonia. 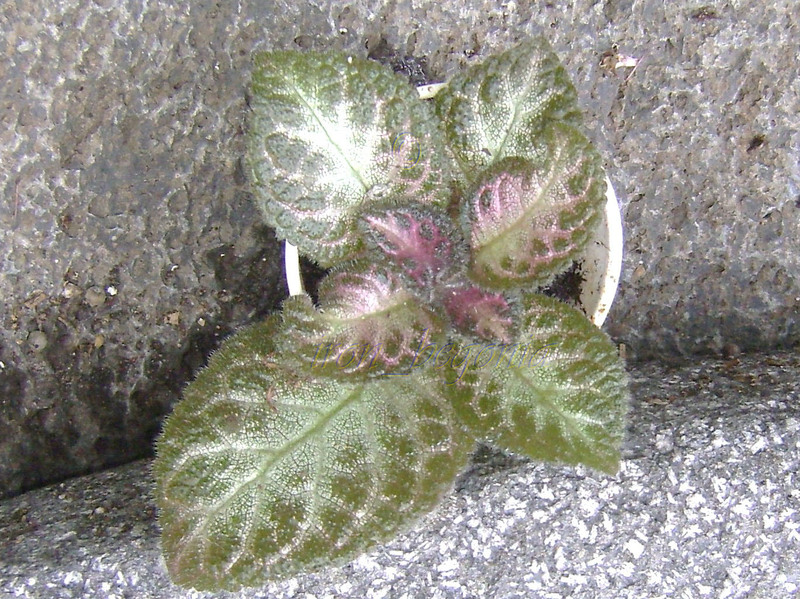 It has medium leaves and would grow well in a hanging basket. 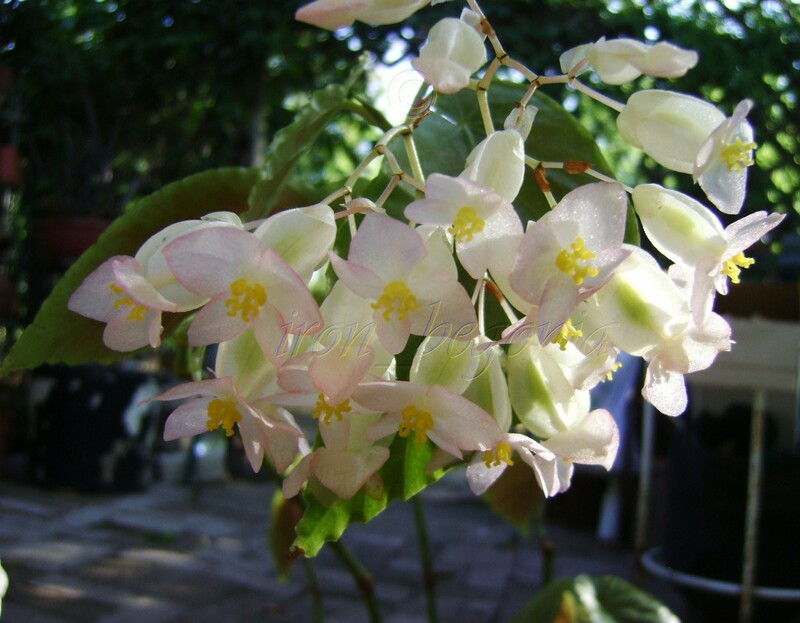 As you can see in the picture it blooms small sprays of white flowers. 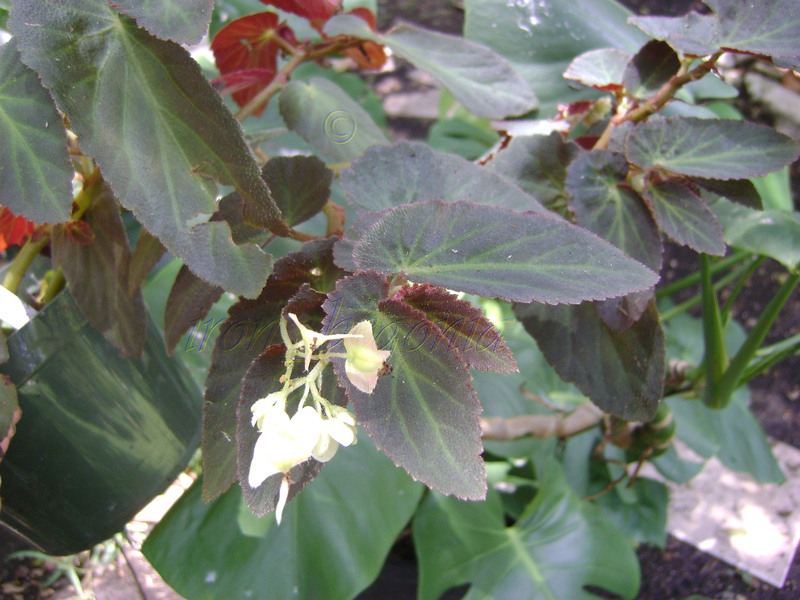 The leaves are a velvety texture brown/bronze with olive green veins. What a beautiful flower! It looks like a huge snowflake. This is another Angel Wing I purchased in; I believe in Ft Worth at another South West Begonia get together. 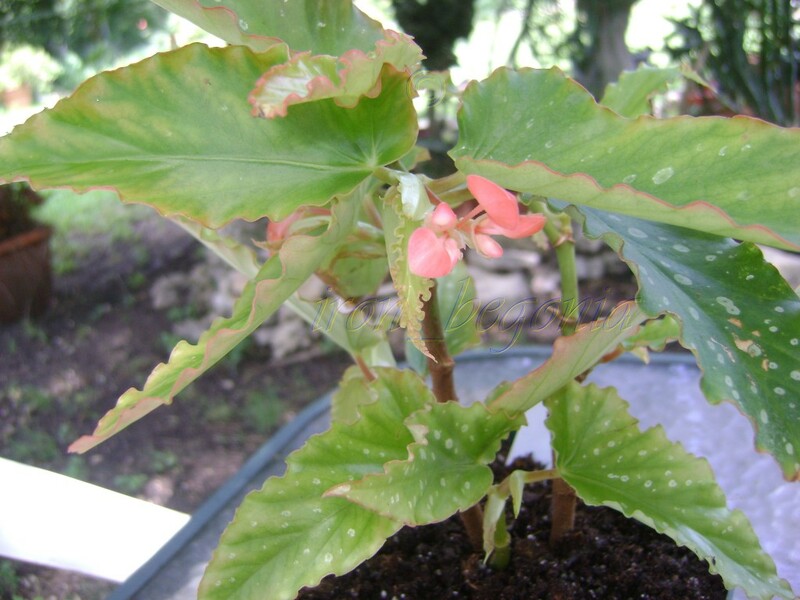 I don’t know what colors the Angel Wing begonias I purchase at these show are going to bloom. 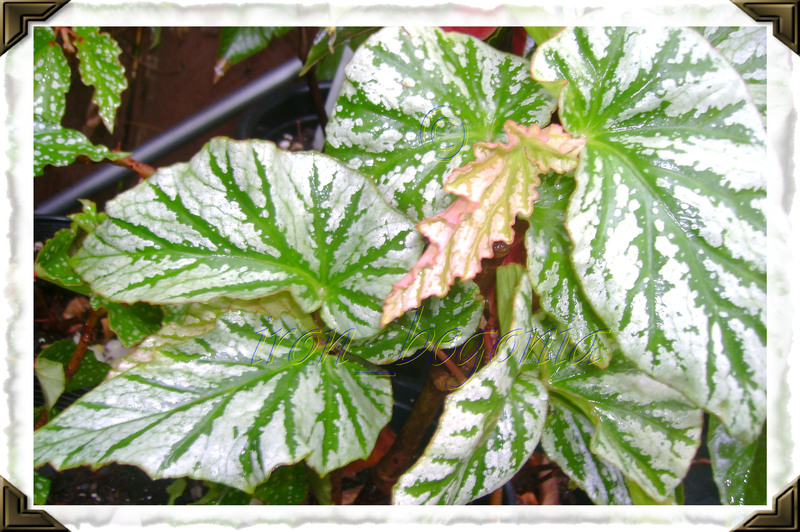 I just love Angel Wing Begonias regardless of the color they bloom. 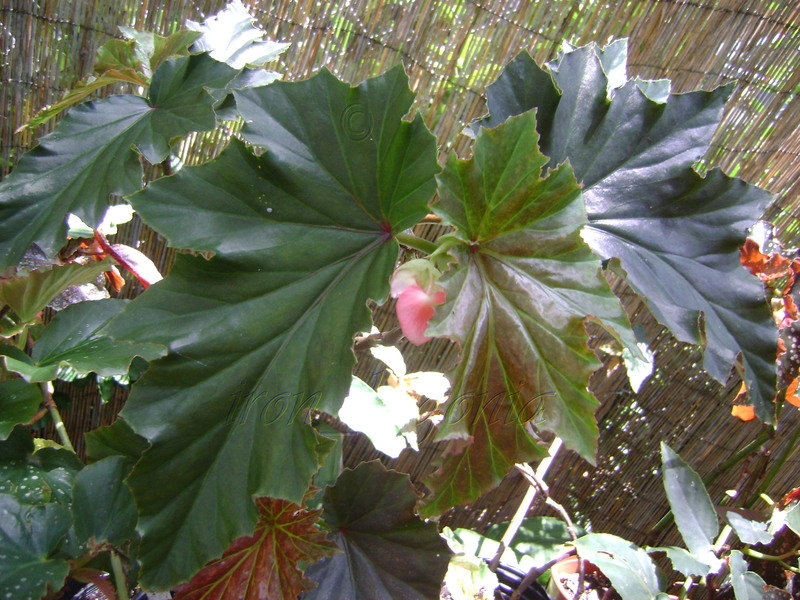 This begonia has very large leaves and the flowers are pink. It grows rather tall and leggy so you have to pinch it back. 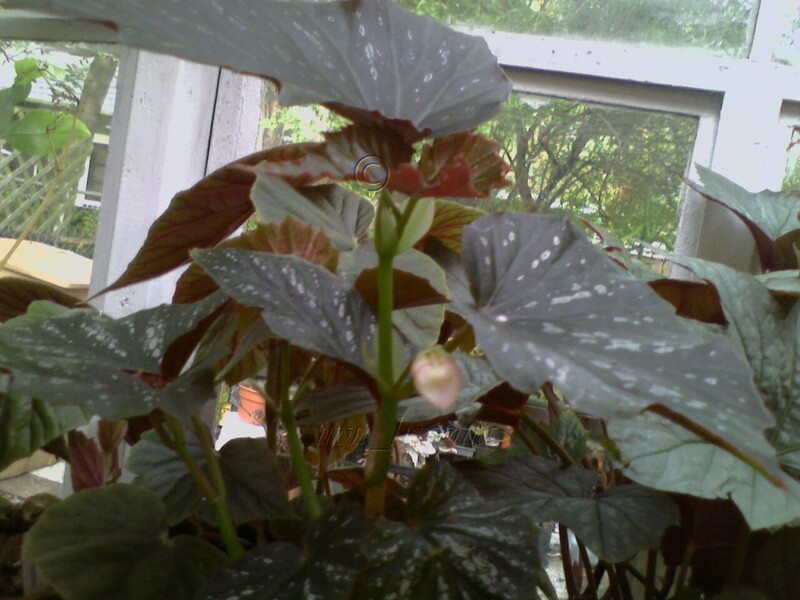 As you can see in the picture it has beautiful dark bronze leaves with a red backing and the blooms on it are huge! 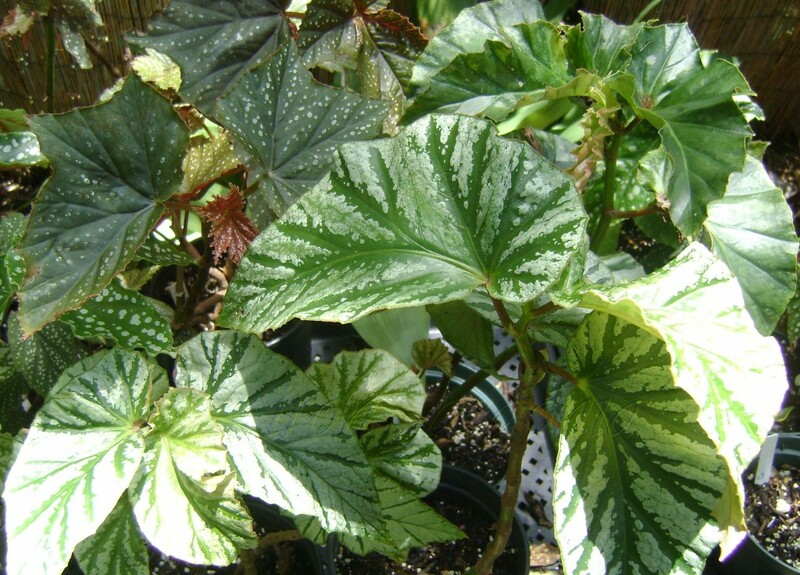 Teen Angel has beautiful silver leaves and bright green ribs. 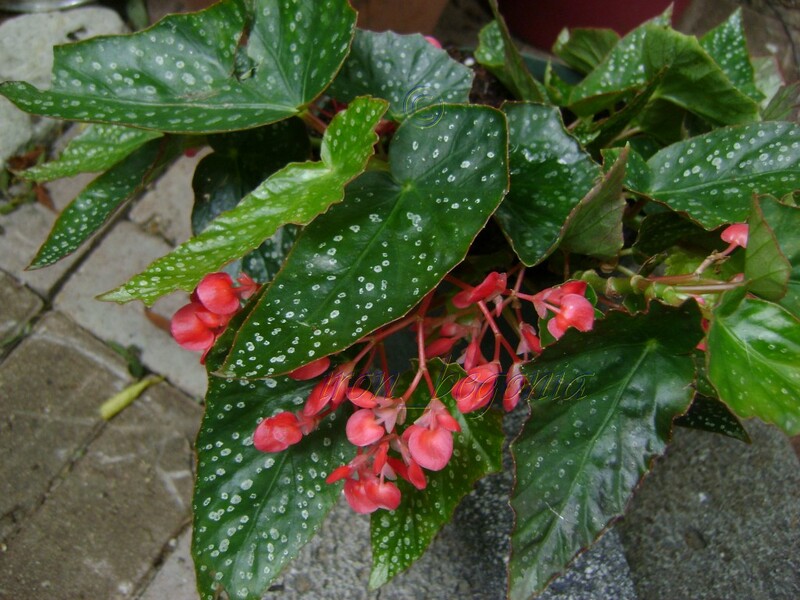 It almost looks like a rex begonia but it is much easier to grow. Below is picture that I took outside of Teen Angel growing under the trees, where all of my Angel Wing begonias grow in the spring, summer and fall.